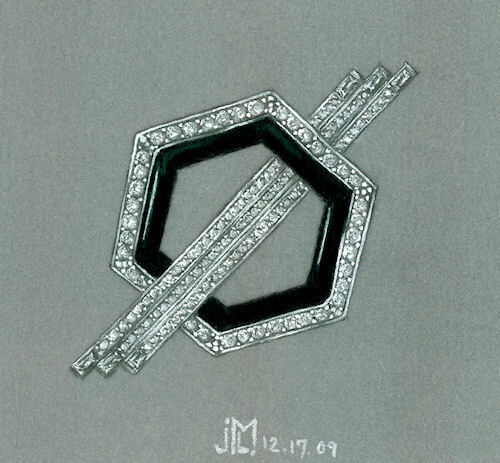 One of my favorite periods in jewelry, and, in fact in all art from advertising to fashion and architecture, is the Art Deco period. As an outgrowth of WWI, this style predominated in the years between 1920 and 1930. Characterized by geometric patterns in bold and striking color combinations, the Art Deco period suggested a practicality departing from the dreamy fantasy of the earlier Art Nouveau period.